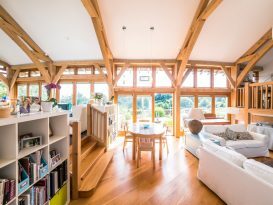 A 1960s bungalow in a stunning south facing elevated site provided the opportunity for a sustainable, contemporary oak framed house. 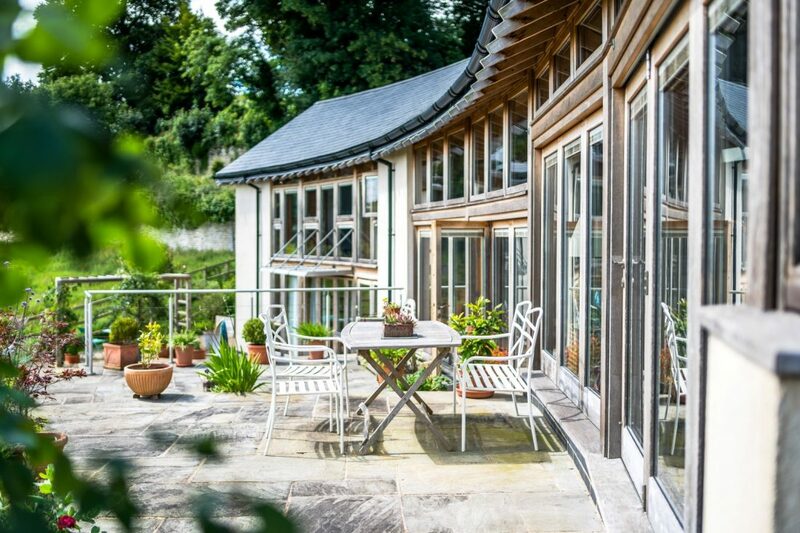 A simple curved plan form with a traditional slate pitched roof embraces the view and creates a split level sun terrace overlooking the valley. 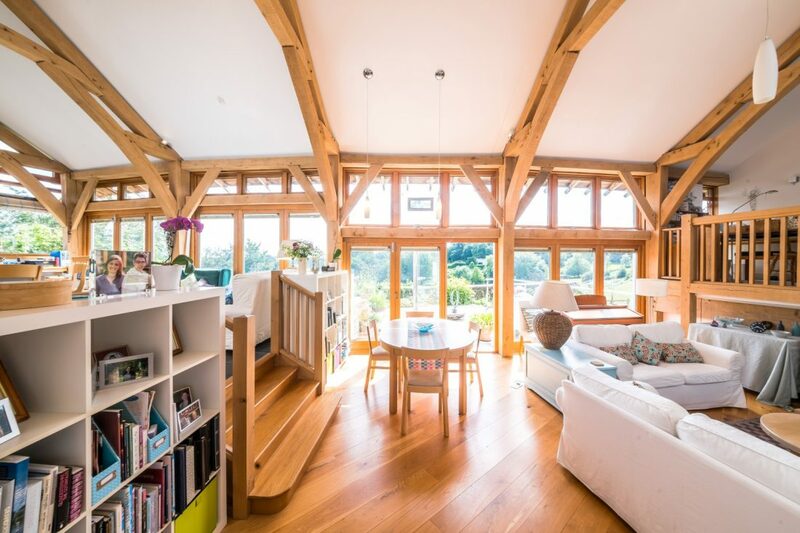 The green oak frame provides a steady rhythm ordering the internal composition, whilst five different levels respond to the site levels and brief in detail. 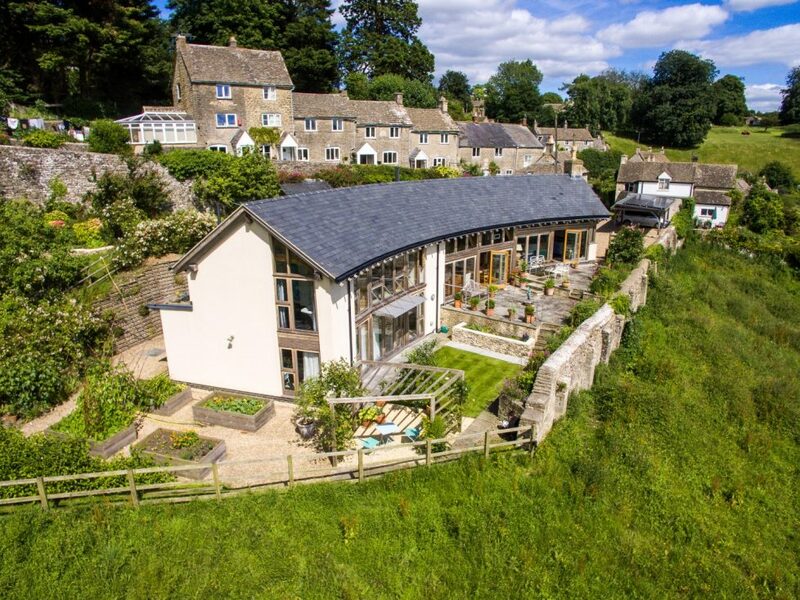 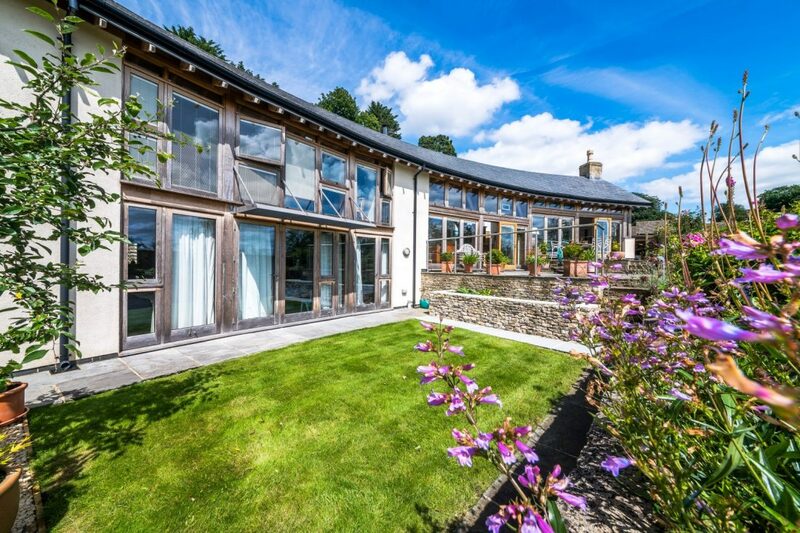 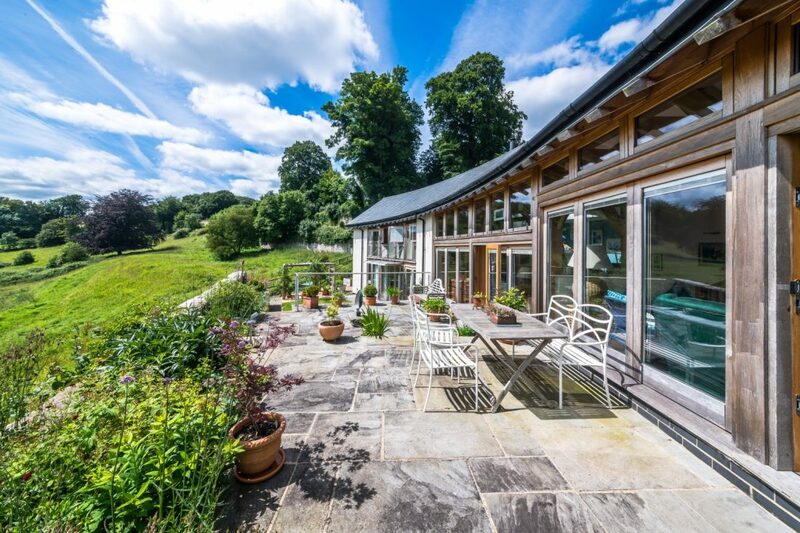 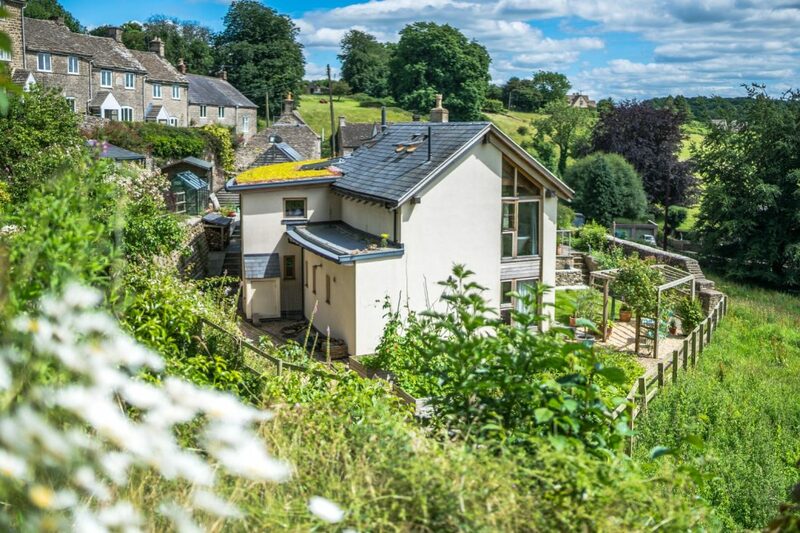 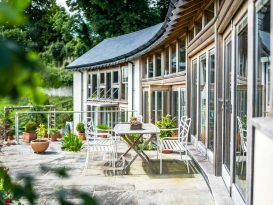 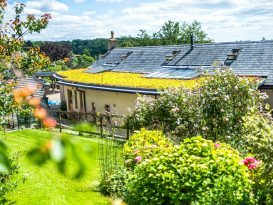 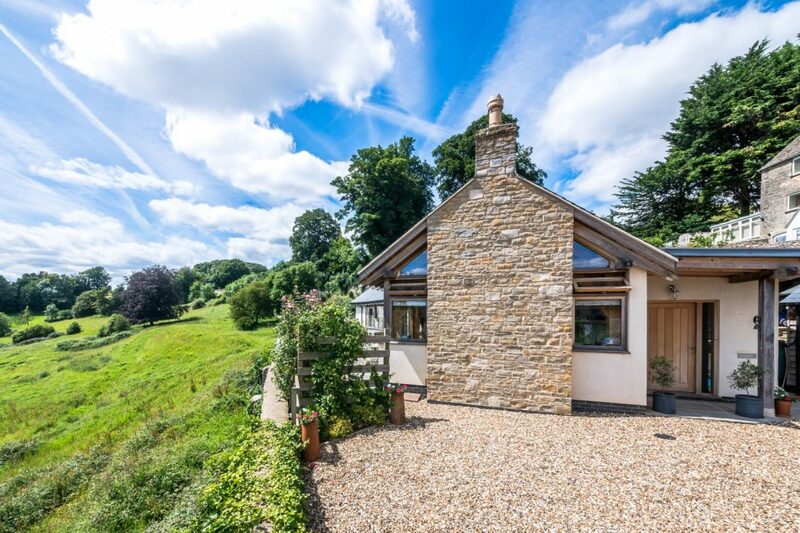 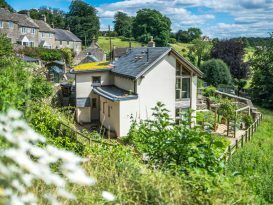 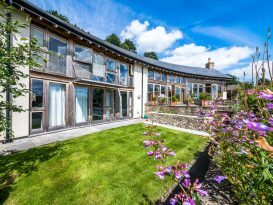 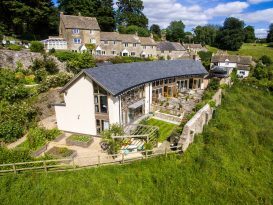 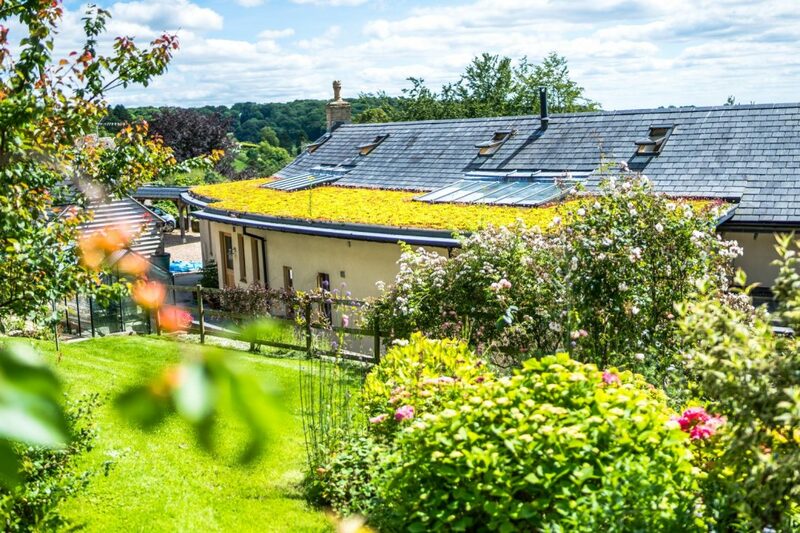 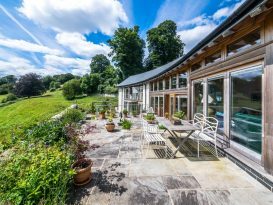 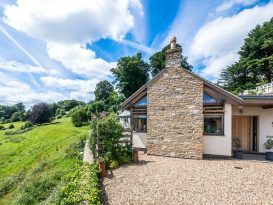 A ground source heat pump, solar panels, sedum roof, high levels of natural wood fibre insulation and rainwater harvesting ensure that the sustainability of the house is maintained for the life of the building.